Harriet and Richard pop out for a walk in the July sunshine in Shropshire. 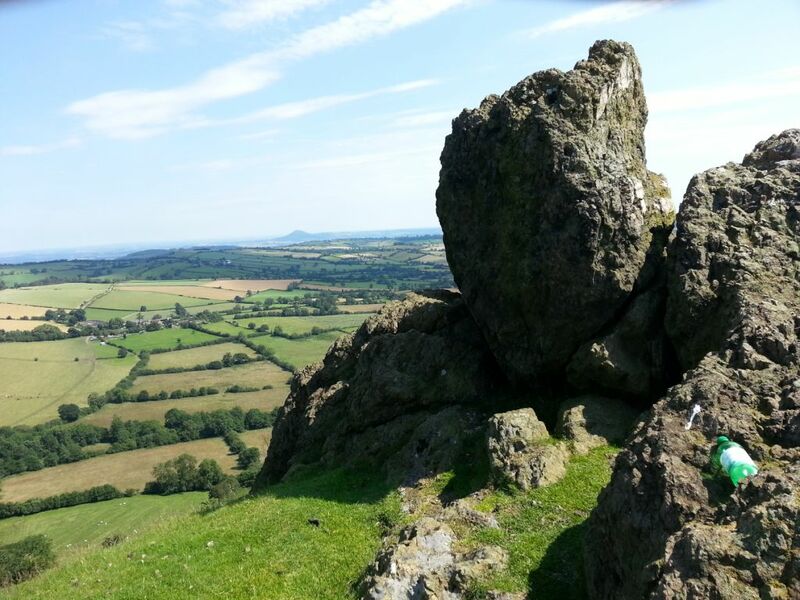 This time they are exploring the delights of Hope Bowdler, which is near Church Stretton and close to Caer Caradoc. To quote Wikipedia: Hope Bowdler Hill rises to the north of the village, with a number of summits, the three tallest of which are 426 metres (1,398 ft), 410m and 393m. The Gaer Stone (or Gaerstones) is part of this hill. On Hope Bowdler Hill you can go on 3.5 mile walk that will take you over the hill and a couple others in the area. This walk will also take you to Gaerstone, Wilstone hill and towards Church Stretton before it takes you back to Hope Bowdler. A view from the top of Hope Bowdler Hill. It is one of those walks that is over shadowed by the like of the suppose hill that Caratacus was defeated by the Roman’s in AD51 during his last stand to defend Britain against these dreaded foes. That said, it is worth taking a short detour to find one of the many public pathways to clamber to the top and take in the magnificent views. Legend also has it that a millennium later another famous rebel led a revolt against the Normans. The rebel was Edric Silvaticus also known as ‘Edric the Wild’, he was a Saxon that fought against the Normans in the area of Hope Bowdler after the Conquest of 1066.